Image from A Little Wisdom. (May 6, 2018 – Toronto, ON) The 25th annual Hot Docs Festival began to wind down yesterday with the Hot Docs Awards Presentation, which was hosted by Garvia Bailey from Toronto radio station Jazz-FM91. In all 13 awards and $85,000 in cash and prizes were presented to Canadian and international filmmakers, including awards for Festival films in competition and those recognizing emerging and established filmmakers. Sponsored by the Documentary Organization of Canada and Telefilm Canada, the award includes a $10,000 cash prize courtesy of Hot Docs. 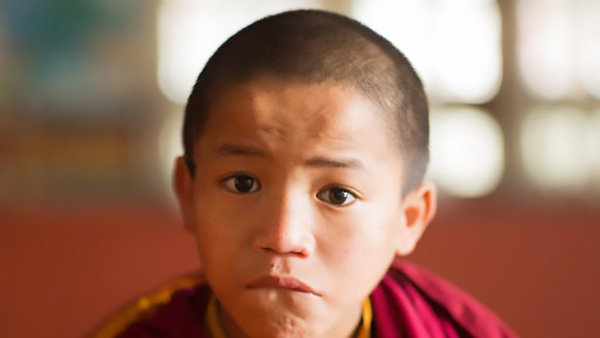 In A Little Wisdom, Yugi Kang looks at the lives of orphaned young monks living in an isolated Tibetan Buddhist monastery in Lumbini, Nepal, the birthplace of the Buddha. In particular she trains her camera on a young novice monk named Hopakuli, and through him the film looks for transcendent insights on the relationships between brothers, between friends, between teachers and student, and perhaps most importantly, between the rough and tumble lives of adolescent boys and the austere religious environment they call home. 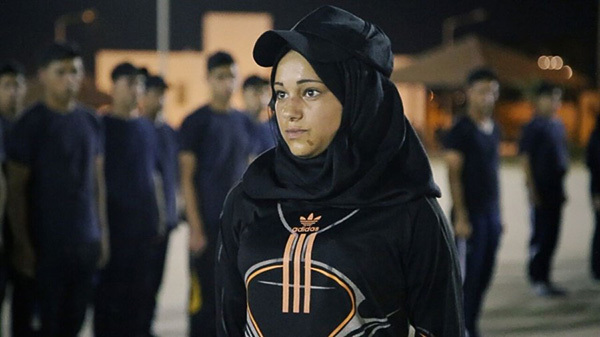 Promotional image from What Walaa Wants. Given to a first or second-time Canadian filmmaker with a feature film in the Canadian Spectrum program, the award includes a $3,000 cash prize courtesy of Hot Docs. Supported by Panicaro Foundation, the award includes a $10,000 cash prize courtesy of the Panicaro Foundation. Sponsored by A&E, the award includes a $5,000 cash prize courtesy of Hot Docs, which will be split between the two winners. Given to a first or second-time international filmmaker with a feature film in the International Spectrum program, the award includes a $3,000 cash prize courtesy of Hot Docs. In the Emerging International Filmmaker category, the jury acknowledged Jill Magid, director of The Proposal with an honourable mention. In the Best International Short Documentary category, the jury acknowledged Zion (D: Floyd Russ; P: Carter Collins; USA) with an honourable mention. In the Best Canadian Short Documentary category, the jury acknowledged Vika (D&P: Christian Borys, Marta Iwanek; Canada) with an honourable mention. Hot Docs is an Academy Award qualifying festival for short documentaries and, as winners of the Best International Short Documentary Award and the Best Canadian Short Documentary Award respectively, Haunted and Prince’s Tale will qualify for consideration in the Documentary Short Subject category of the annual Academy Awards without the standard theatrical run, provided they comply with Academy rules. The award honours an emerging Canadian filmmaker with a passionate point of view, a strong sense of social justice and a sense of humour. Each recipient will receive a $5,000 cash prize courtesy of the Lindalee Tracey Fund, $5,000 in post-production services from Technicolor, and a beautiful hand-blown glass sculpture by Andrew Kuntz, specially commissioned to honour Lindalee. 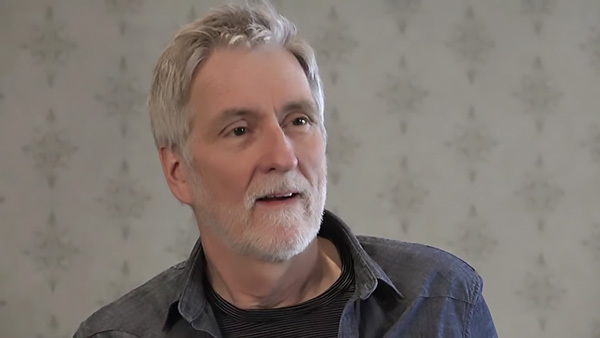 Canadian filmmaker John Walker was honoured during the presentation as the recipient of this year’s Focus On retrospective. 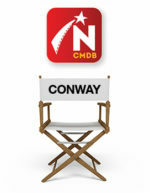 The award comes with a $10,000 cash prize courtesy of the Don Haig Foundation and Telefilm Canada. On April 30, 2018, Cara Mertes, director of Ford Foundation’s JustFilms, received the 2018 Doc Mogul Award at a special luncheon. The winner was determined by audience ballot cast by students attending Docs For Schools screenings at the Hot Docs Ted Rogers Cinema during the Festival. Sponsored by Scotiabank, the award comes with $5,000 cash prize, courtesy of Scotiabank. The Rogers Audience Award for Best Canadian Documentary will be announced tonight, Sunday, May 6, at 7:00 p.m. at Hot Docs Ted Rogers Cinema before a free encore screening of the winning film. Generously established by the Rogers Group of Funds and determined by audience ballot, the award comes with a $50,000 cash prize. The Hot Docs Audience Awards, and top twenty favourite audience films of the 2018 Festival, determined by audience ballot, will be announced tomorrow, Monday, May 7.